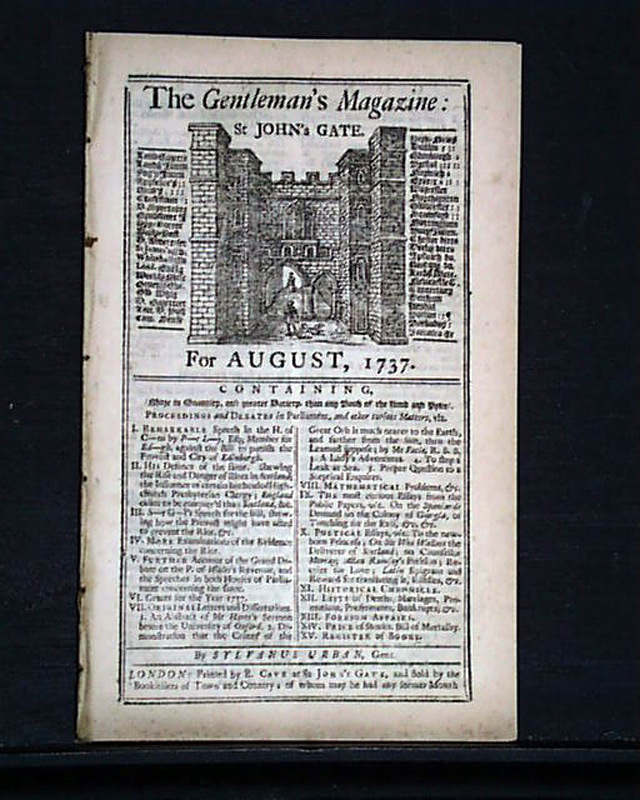 Item # 647033 THE GENTLEMAN'S MAGAZINE, London, August, 1737 Among the articles noted in the table of contents are: "Why Riots fewer but More Dangerous in Scotland than England" "England Easier to be Conquer'd than Scotland" "Address to Ladies who Wear White Stockings" and more. 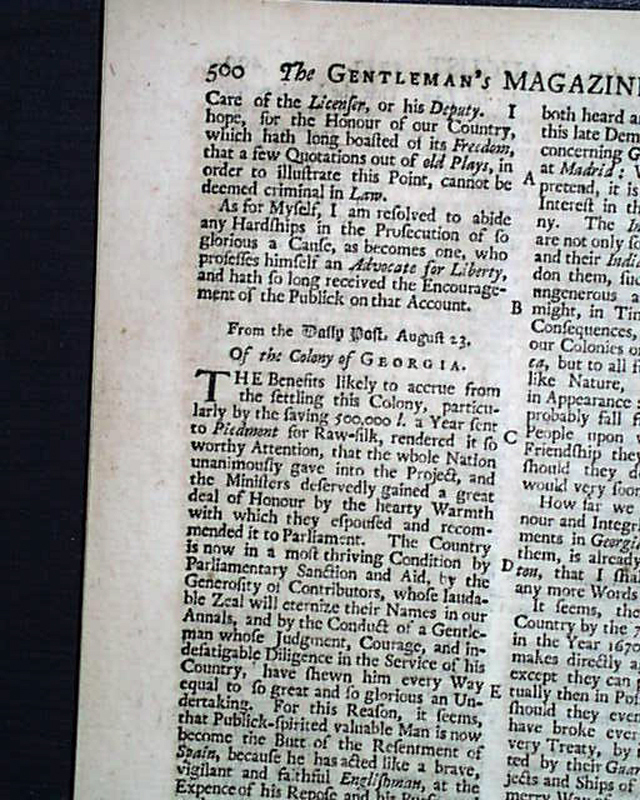 One of the articles is titled: "Of The Colony of Georgia" and begins: "The benefits likely to accrue from the settling this colony..." with more, continuing to take almost the entire page (see for portions). 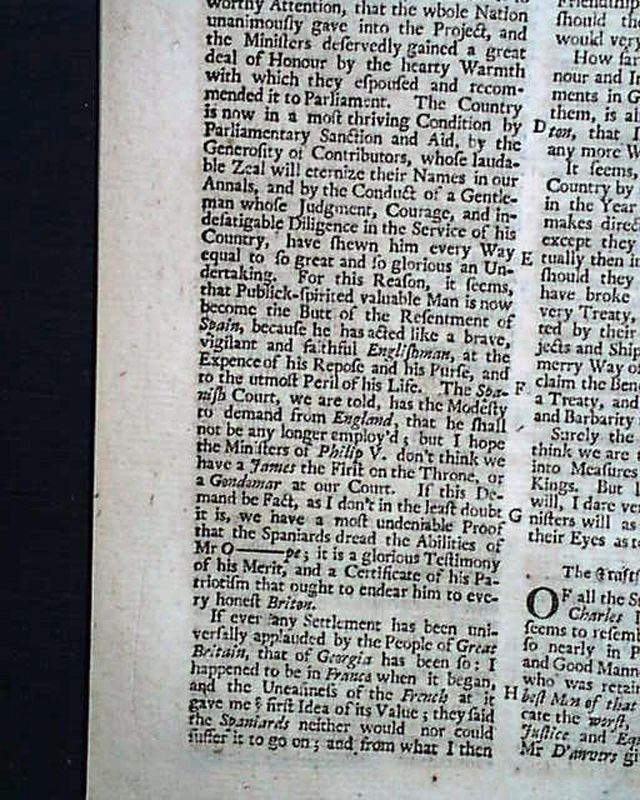 Near the back is a section headed: "Historical Chronicle" with news from England & other parts of Europe. 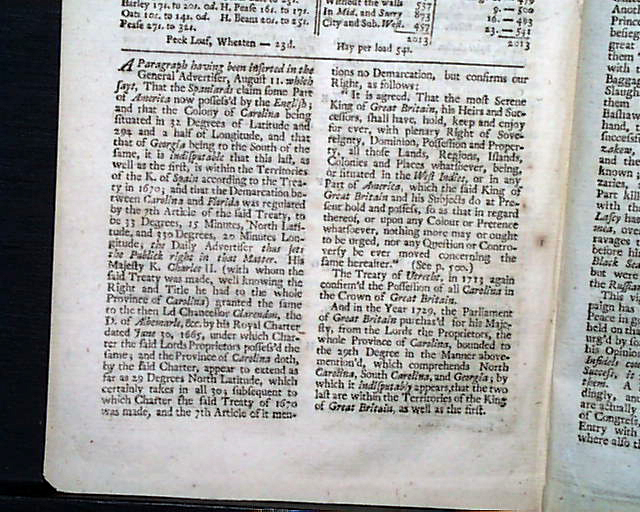 Included is a report which has an article which includes: "...That the Spaniards claim some part of America now posses'd by the English; & that the Colony of Carolina being situated in 32 degrees of latitude...& that that of Georgia being to the south of the same, it is indisputable that this last...is within the territories of the K. of Spain...& that the demarcation between Carolina and Florida was regulated by the...said Treaty..." with more (see photos). 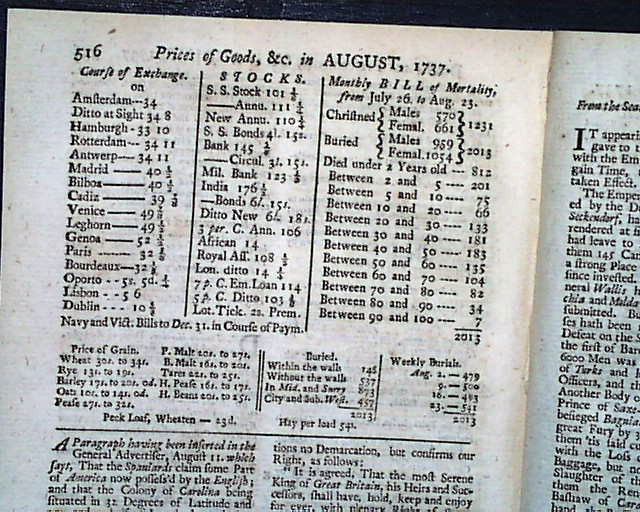 Complete in approximately 60 pages, but does not contain the title/index. Measures about 5 1/4 by 8 1/2 inches and is in very nice condition.